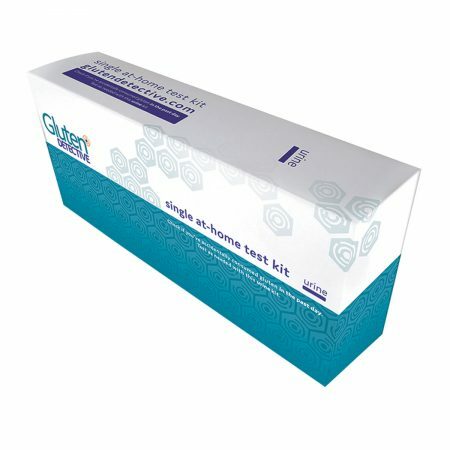 This dual pack includes two (2) individual, single-use rapid test kits that enable you to monitor your exposure to gluten. The urine kit is used to determine if you have ingested gluten over the previous 24 hours. These kits are compact and discreet making them ideal for either home use or when traveling. Use coupon ‘WELCOMETOGD’ for 25% off your first order. This dual pack includes two (2) individual, single-use rapid test kits that enable you to monitor your exposure to gluten. The urine kit is used to determine if you have ingested larger amounts of gluten (500+ mg = 2+ bites of bread) over the previous 24 hours. These kits are compact and discreet making them ideal for either home use or when traveling.